Great beaches, Portugal architecture, cheap drinks and seafood in abundance, what's not to love about Goa? While we all love fancy restaurants like the Brittos and Titos kind, no visit to Goa is complete without relishing the traditional flavours like a true local by eating in Anandashram. Located in the colourful bylanes of Panjim, near the Mandovi river, this place is loved by the locals and tourists alike and is thronged by them throughout the day. With a humble setting of just plastic chairs and great Goan thalis, this place has been winning hearts since 1945. 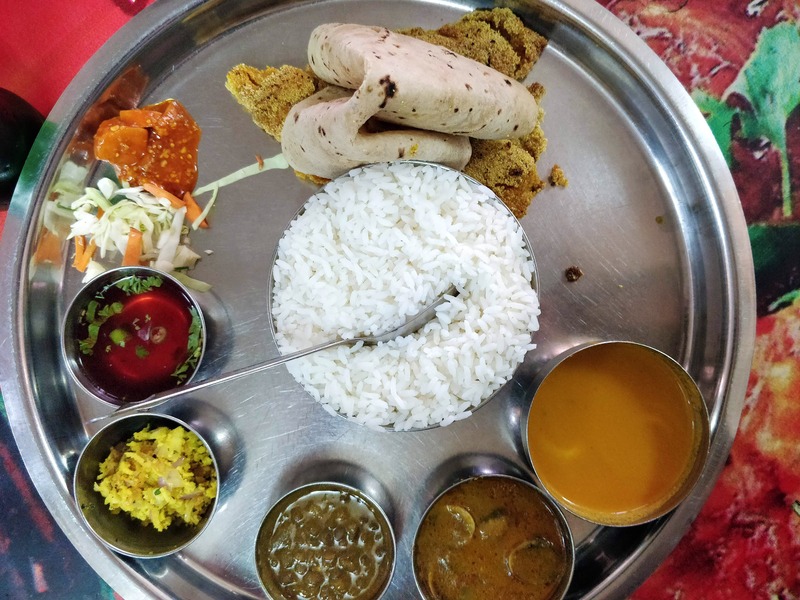 The fish thali is a must try here, with rava crust fried fish, piping hot rice,roti, coconut fish curry, clam curry, dry prawn, salad and sol kadhi. The other specialities here that you must try are chicken Sukha, chicken cafreal and prawn masala. Go get yourself a mouth-watering fish thali the next time you're in Goa.